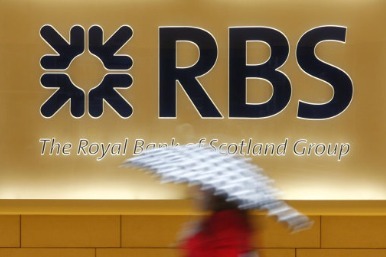 Royal Bank of Scotland is reportedly planning to break up its investment banking arm as it prepares to be hit with an expected £500 million in fines for its part in the Libor scandal. It is understood the taxpayer-backed lender is poised to announce a shake-up that will see its markets business split from its international banking division and pave the way for investment banking boss John Hourican to leave. Mr Hourican is widely expected to shoulder the blame for the bank's alleged role in the interbank rate-rigging affair, although he is not believed to be directly implicated. It is thought that he will not be replaced when the investment banking arm - which employs around 16,000 people - is broken up, with heads of the two new divisions instead reporting directly to chief executive Stephen Hester. RBS - 81% owned by the State - is understood to be bracing itself for fines of up to £500 million from regulators in the US and UK, which would dwarf the £290 million Libor settlement agreed by Barclays. An announcement is expected this month on RBS's Libor fines, while details of the investment bank restructuring could come within days. RBS is believed to have considered splitting its investment banking arm for some time, but has accelerated plans following the Libor case. Mr Hourican has headed up RBS's wholesale bank since the group's bail-out at the height of the financial crisis and has already overseen a mammoth restructuring, with the division's workforce slashed by around 10,000.